Two Lunch Tuesday is Back for Another School Year! September was our 1st Two Lunch Tuesday for the 2018-2019 school year. 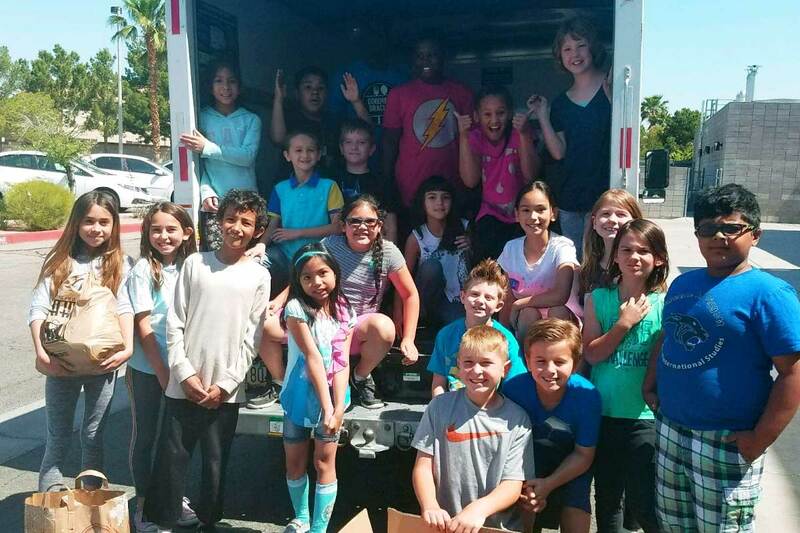 We did have several schools that participated with lunches and other donations during the summer months. Our total lunch count so far is 6726 lunches!! We are projecting the best year ever. Last year our total lunch count was 35,023 and we plan to beat that total this year!! We are excited to run this program for another year, as it provides lunches for so many of our homeless population; and for many of the city organizations such as; The Rescue Mission, Casa de Luz, Catholic Charities, Salvation Army, Nevada Job Connect, Help USA, TLC and several US Veterans locations. 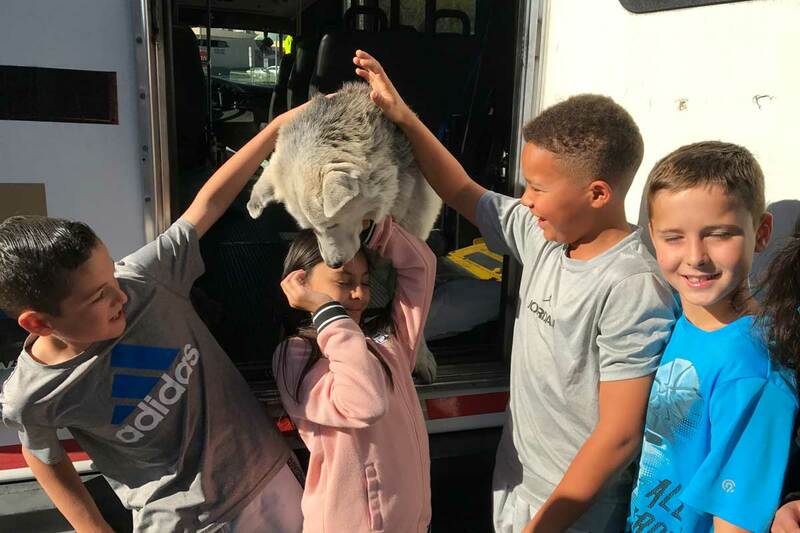 Pastor Cody’s dogs, Bear and Wolf, always go on the 2LT trips and the kids all love them! Thank you to all of the participating schools, parents and students for caring for the less fortunate in our community!!! Christina & Tim get Married!!! If you remember, we have put Christina in our newsletter twice in the past. She is the homeless women that Pastor Cody placed in the Walter Hoving Home for women 2 1/2 years ago. She spent 2 years in the home and has become a completely new person, focused on Jesus Christ and changing her life to follow him. Tim is a long time follower of Christ, working at Hope Church, for many years. They met at our homeless outreach at the park and have spent quality time getting to know each other. 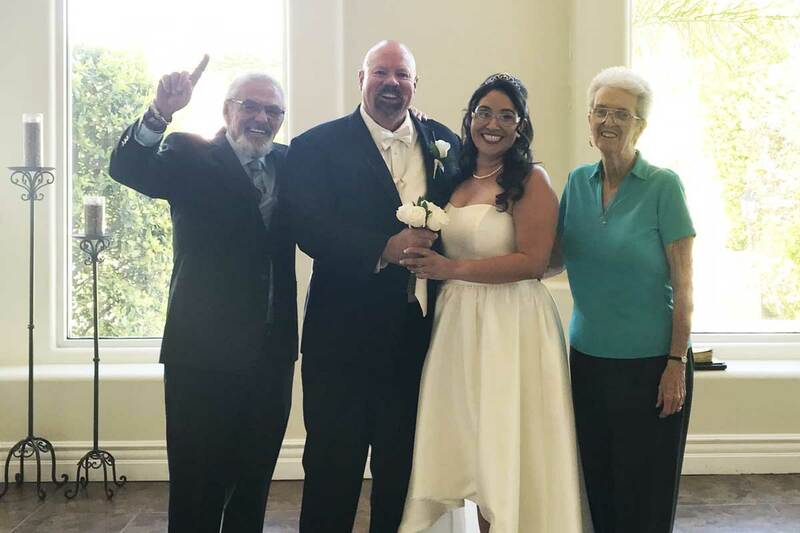 On September 20, 2018 Pastor Cody married them at Sunset Gardens; what a joy to see them in love and putting Jesus Christ first in their marriage. Thank You to all of our Faithful Volunteers!!! We want to thank our many and wonderful volunteers for stepping up to the plate last month while Pastor Cody stayed home to look after his wife, Heather, who was down with extreme back pain, and to complicate matters, had to have major dental surgery. Everyone chipped in to help; with cooking, running ministry errands, preaching and any other things that needed to be done. Pastor Cody and Heather want to convey their heartful thanks to all of them for their love of the ministry and helping any and all in need!!! We want to thank Wadley Construction for cooking for our outreach on September 12th. They prepare great meals and Pastor Cody says that their mac & cheese is perfection!!! They have adopted Broken Chains as their project for 2018 and are doing such wonderful things to help the ministry. They have already had 1 fund raiser and have another one planned for October. Thank you all!!! 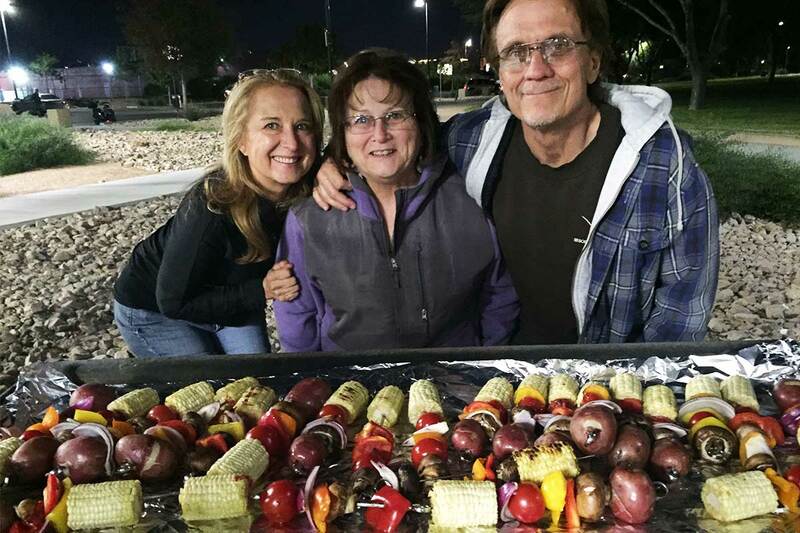 We want to thank Judy and Charlie Hopkins for cooking for the outreach on September 26th. They faithfully cook once a month for the ministry. We want to thank George Botta and Las Vegas Pest Control for sending another big donation of food to us for our pantry. We want to thank all of our faithful volunteers & sponsors; without them, we would not be able to operate. We also want to thank all of those who financially support the ministry; again we would not be able to do what we do without these individuals. Prayer: Please pray for our good friend Eddie as he battles illness. Prayer: Please continue to pray for Pastor Dan, as he continues to improve. Prayer: Please pray for the Chapel family; Chris, Laura and their children as they continue to struggle with many illnesses. Prayer: Please pray for our country; we need God’s help!!!! Prayer: Please prayerfully consider becoming a financial partner with Broken Chains. Praise: Heather’s back is starting to get better and in December she will receive implants to replace the teeth lost in the surgery. A great thanks to our wonderful dentist who takes superb care of us and our homeless population! Praise: Morris Chapman got a very good report from his doctor! Praise: Thank you to all of our wonderful sponsors, volunteers & board members!! Praise: Thank you, Jesus, for always providing for your ministry. Philippians 4:19. Everyone is invited to attend our weekly Bible study and BBQ. It is held at Myron Levitt Park (the old JC Park) on Wednesdays at 5:30 pm. The park is just north of the intersection of Eastern Avenue & Sahara Avenue. If you would like more details including a Google map, please visit our website contact page. Come and join us any Wednesday! Every month, we deliver to our partners, volunteers, and supporters an update as to how they helped Broken Chains serve others in our community and around the world. Sign-up so you can be in the know about how God is using us as we serve together! To connect the homeless people in our valley to Jesus; and through that connection their lives will be changed and we can help them find employment and living arrangements. Sign up to receive our Monthly Newsletter and periodic updates! Follow the awesome things God is doing through Broken Chains!